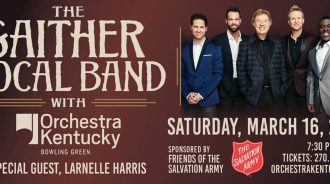 The Gaither Vocal Band, with founder Bill Gaither, joins Orchestra Kentucky and special guest Larnelle Harris, in an evening of Gospel favorites. 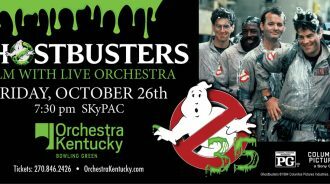 Sponsored by Friends of The Salvation Army. 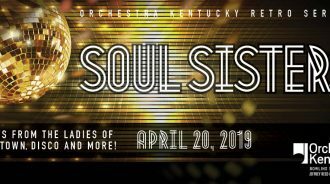 Hits from the Ladies of Motown, Disco and more! Darla Day, Sandra Dye, and Lisa Oliver-Gray join the Rewinders The Retro Series is sponsored by Jim & Darlene Johnson and Jim Johnson Nissan/Hyundai. 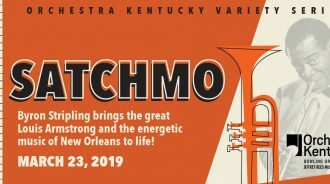 A powerhouse trumpeter, gifted with a soulful voice and charismatic swagger, Byron Stripling brings the great Louis Armstrong and the energetic music of New Orleans to life. You’ll want to be in that number when the saints go marchin’ in! The Variety Series is sponsored by the Haskins Foundation. 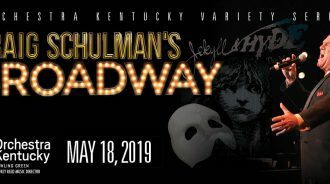 Craig Schulman, the only performer in the world to have appeared in the title roles of The Phantom of the Opera, Jekyll & Hyde and Les Misérables on Broadway, presents a concert of hits from the Great White Way. Joining him are Tamra Hayden-Rice, who appeared on Broadway as Cosette in Les Misérables and as Texas in Cabaret, and Gary Mauer, who recently played the Phantom on Broadway. The Variety Series is sponsored by the Haskins Foundation.